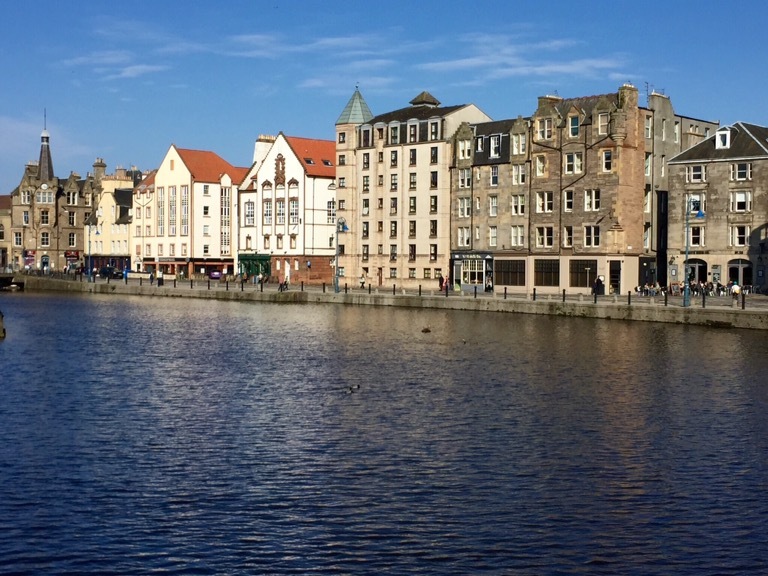 Leith Water is a small river than runs northwards from a range of hills to the south of Edinburgh and into the Firth of Forth at Leith, just to the north of Edinburgh city centre. You can walk along most of its length, and yesterday afternoon I walked the last section. This is three miles or so, from Dean Village to Leith harbour. Dean village lies in a deep gorge to the west of central Edinburgh that the Water has cut. In the past I suppose it would have been a completely separate settlement from Edinburgh, certainly until the New Town was built and extended. 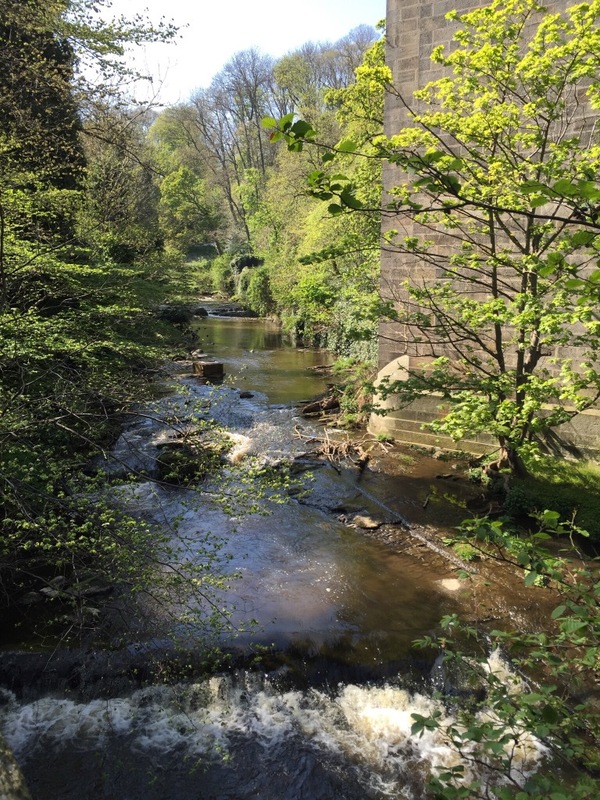 The heart of Dean Village is now a number of Victorian buildings for housing, but previously it was an industrial area – the Water drops quite steeply in this area, and a number of water mills were constructed. After Dean Village it runs more placidly for another couple of miles or so until it reaches Leith, where it flows in the old Leith Docks. In the past this was one of Scotland’s major ports with quite a lot of berths and warehouses, but these days apart from a few quaysides on the Firth itself the harbour is not used. The old buildings have largely been replaced with new ones – there are new apartment blocks, and Leith is the site of the main offices of officials of the Scottish Government. You can imagine therefore that the area is now also home to a wide range of restaurants and bars, and indeed is very popular and, on a warm sunny afternoon, very attractive. This has only happened in the last 15 years or so – prior to the 1990s Leith was pretty much a no-go area (or so I gather – read Ian Rankin’s “Set in Darkness” for a good description of low life in the former Leith). Even when Val and I were last here in the early 00s it was still very raw – many new buildings had been erected but most were still empty, and it all looked pretty unfinished. Today, however, it seems lively and popular.